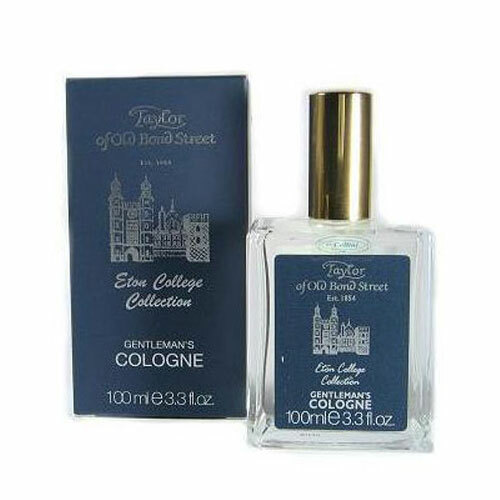 One in a series of similar products, Taylor of Old Bond Street Eton College Cologne is a blend particular to the British manufacturer rather than its interpretation of a standard scent. It is a crisp, refreshing concoction that is meant to enhance the user’s presence without overwhelming the sense of those around him. Each bottle is produced using citrus notes laid over a patchouli base. Citrus notes used in the Eton College scent include orange, mandarin, and above all else, lemon. Once nothing more than a simple London-based salon, Taylor of Old Bond Street has since become an international success selling men’s grooming products. Its modern operations are still focused on the production of creams, fragrances, soaps, and other grooming supplies, but the descendents of its founder have long since expanded into accessories and other personal care products. Put together, the British manufacturer’s product selection renders it an one-stop destination for men who appreciate a touch of luxurious elegance in their care routines.